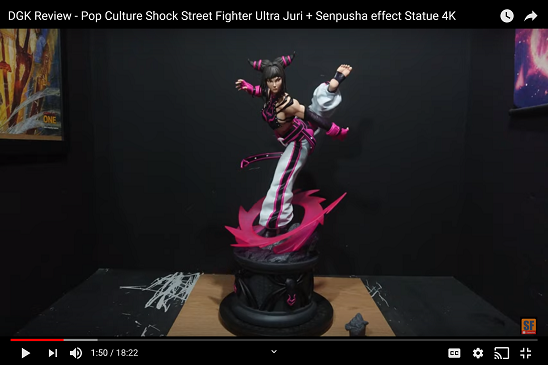 F4F are pretty spot on with their production pieces and this is no exception. 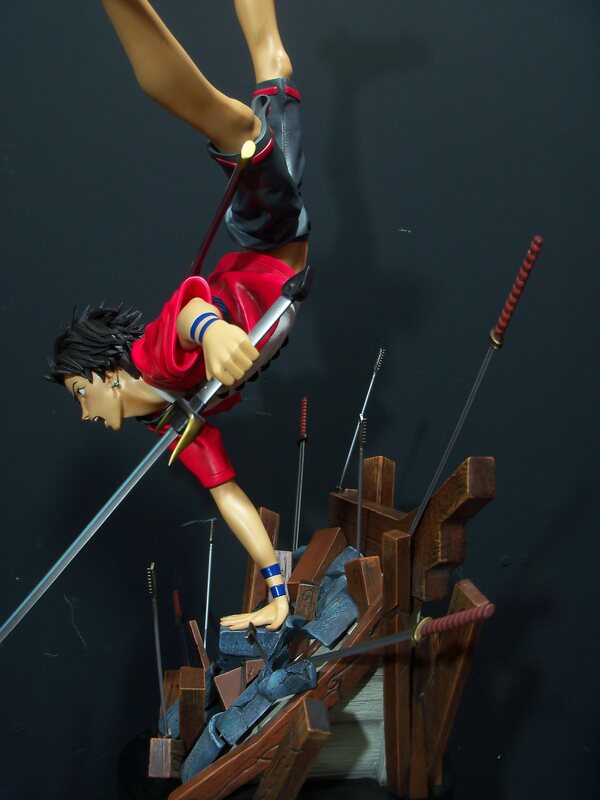 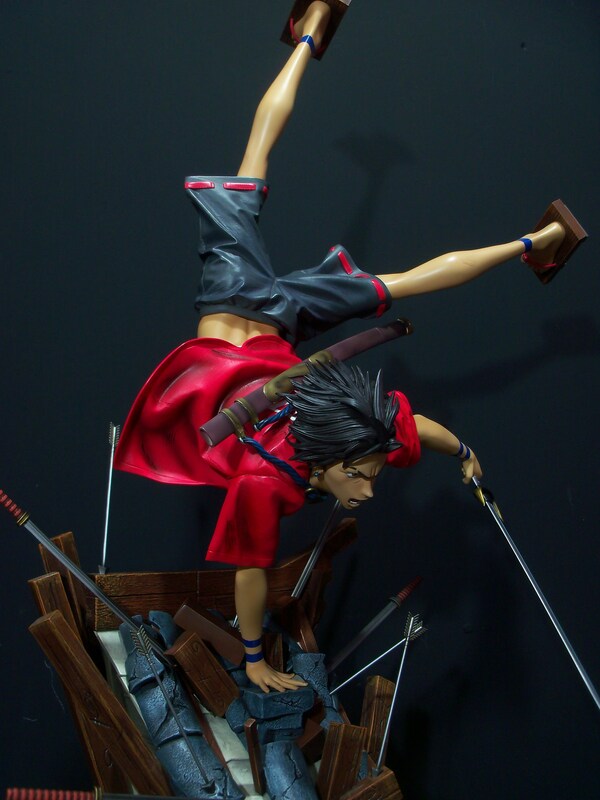 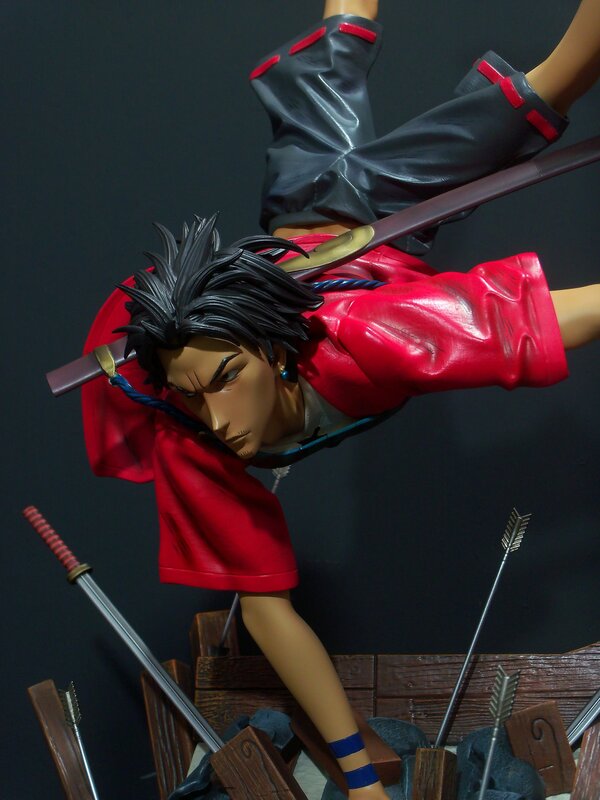 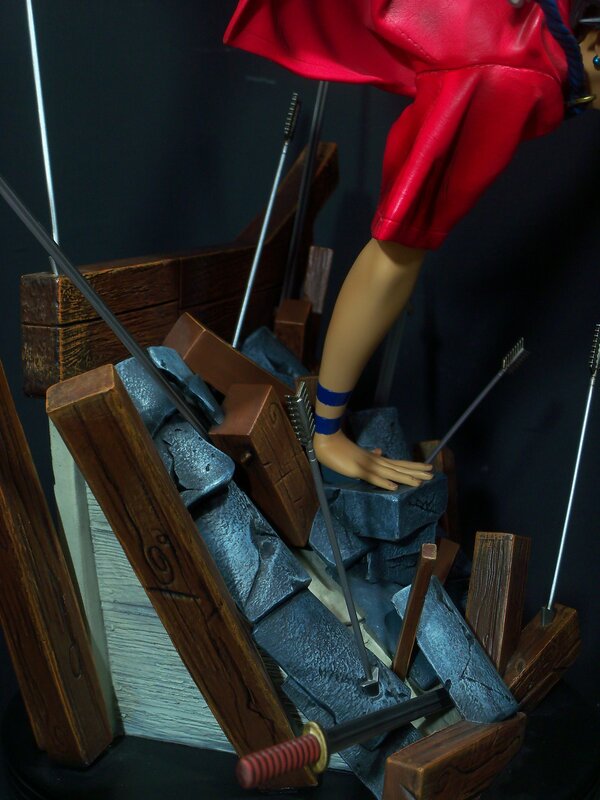 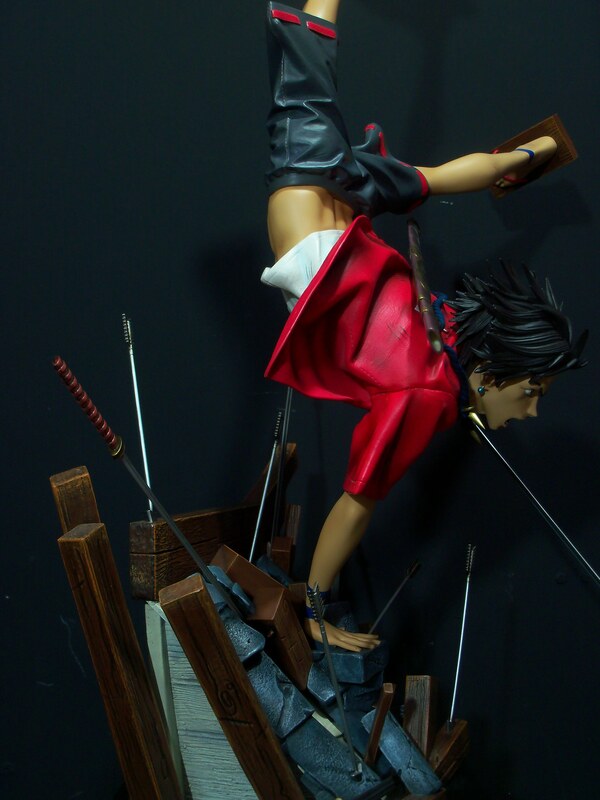 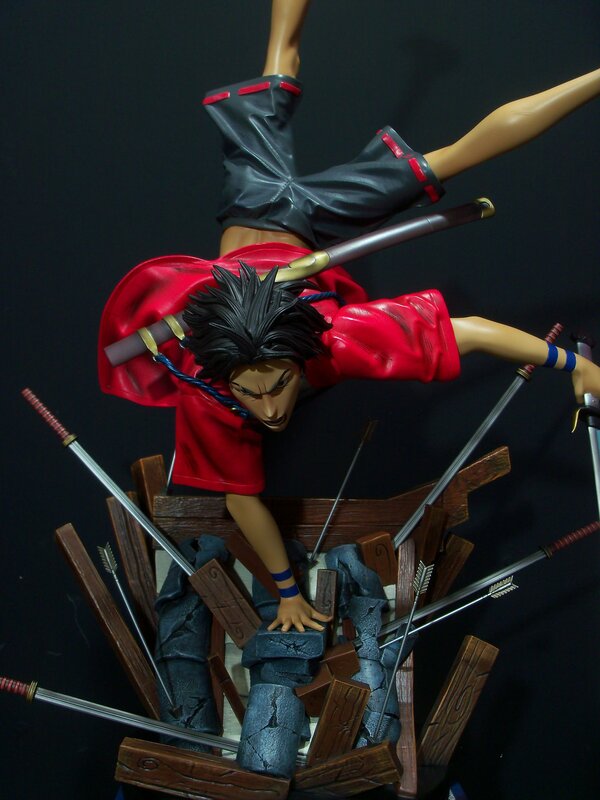 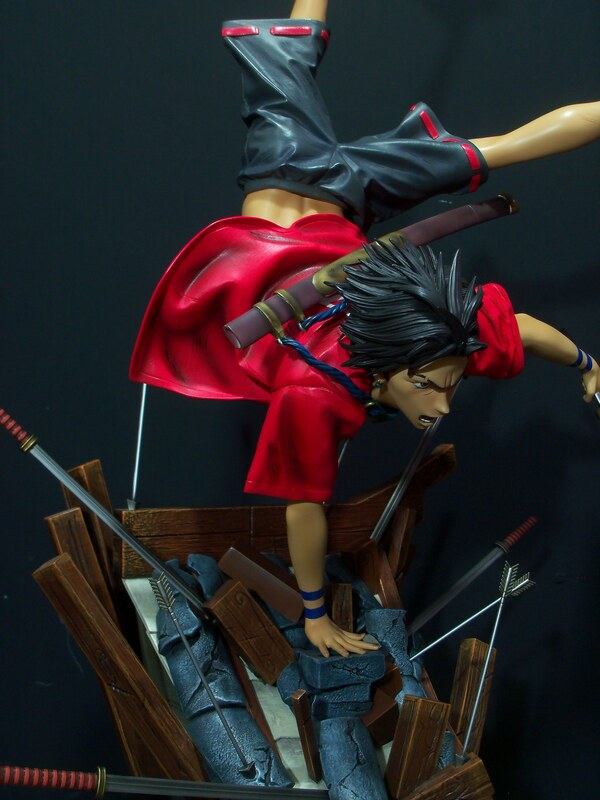 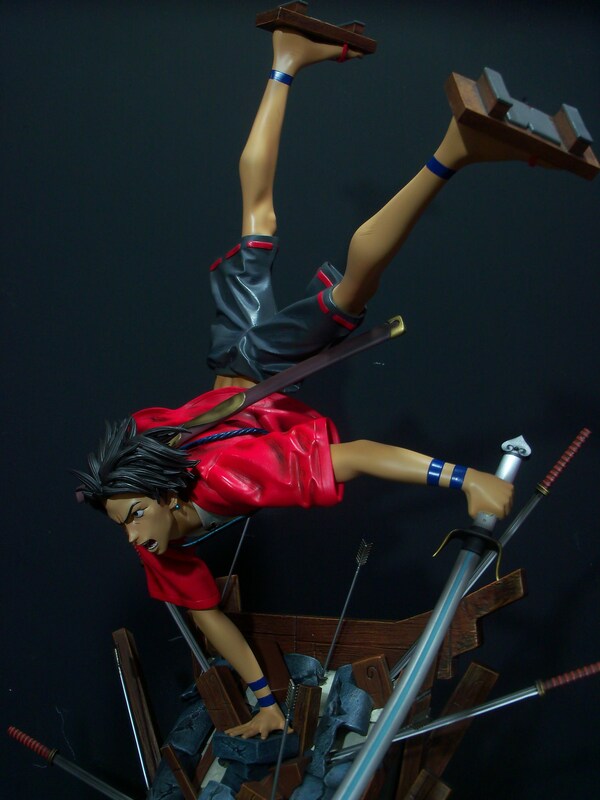 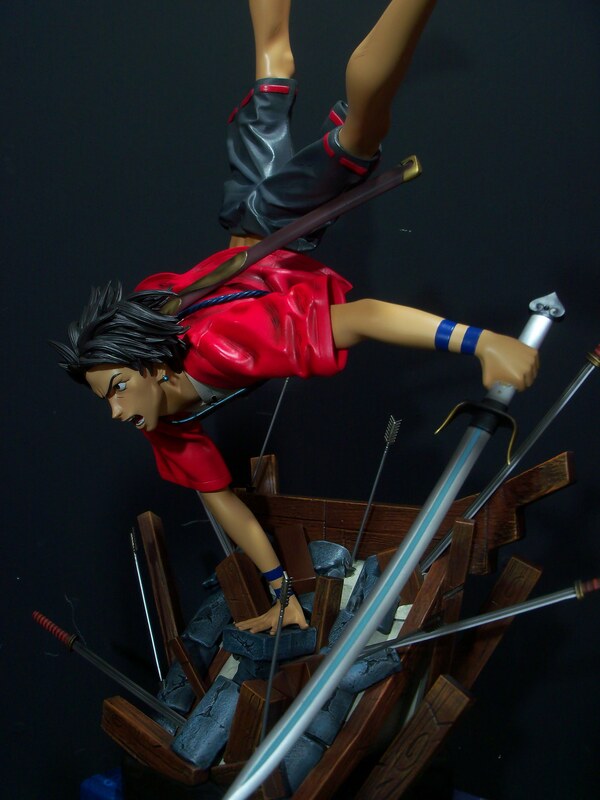 Mugen is polystone and all the swords and arrows are diecast. 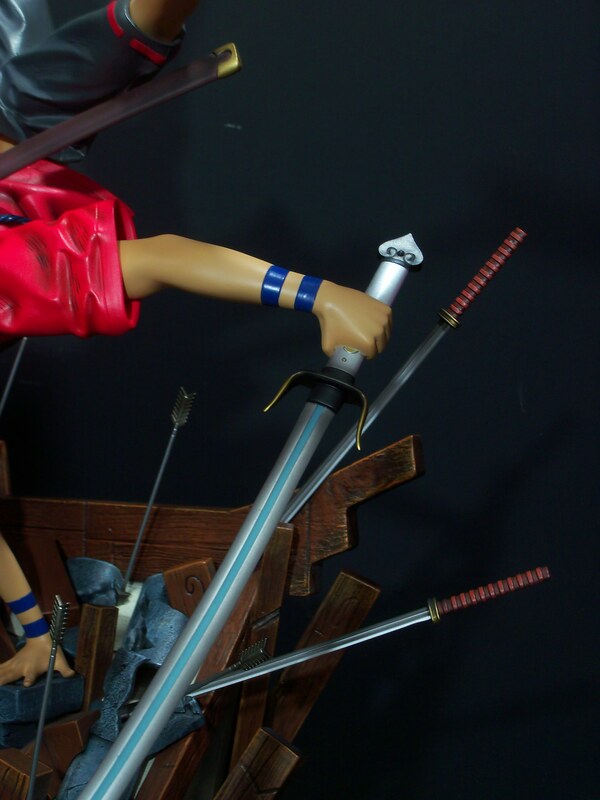 Lots of pics and full review to come.....that unmistakable silhouette! 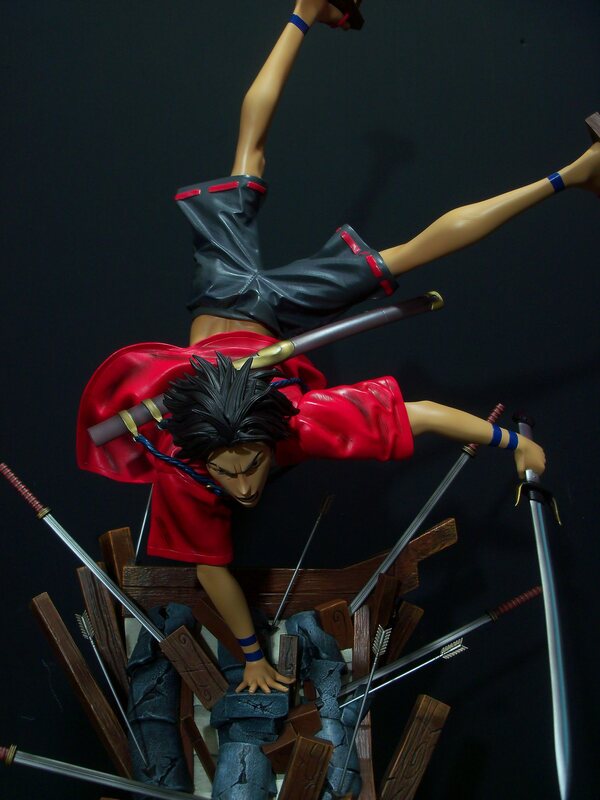 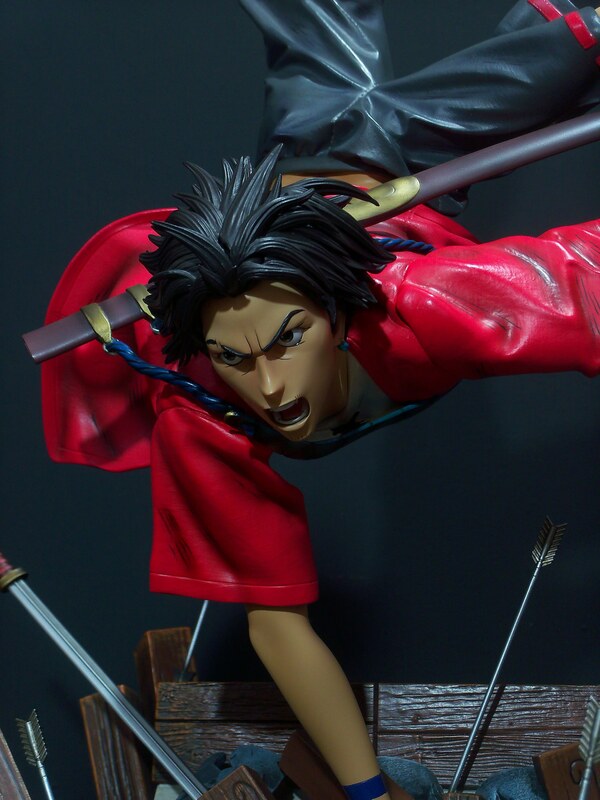 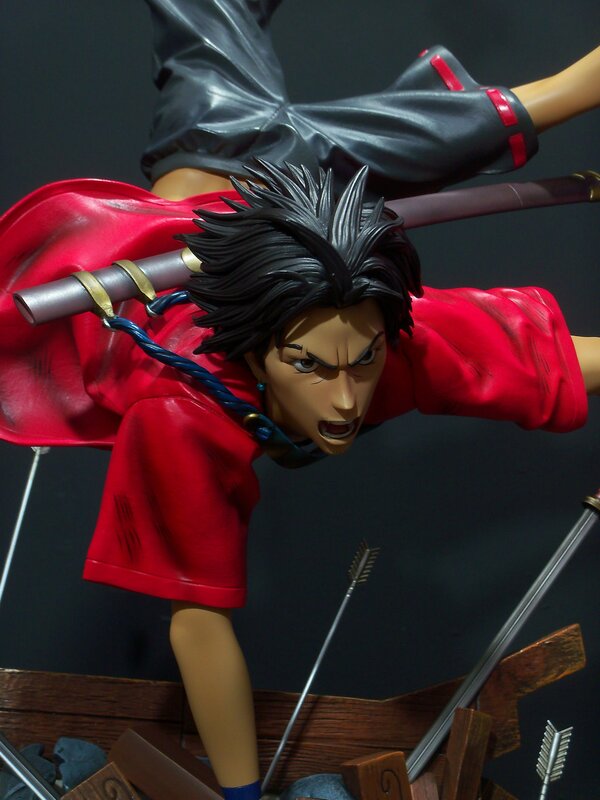 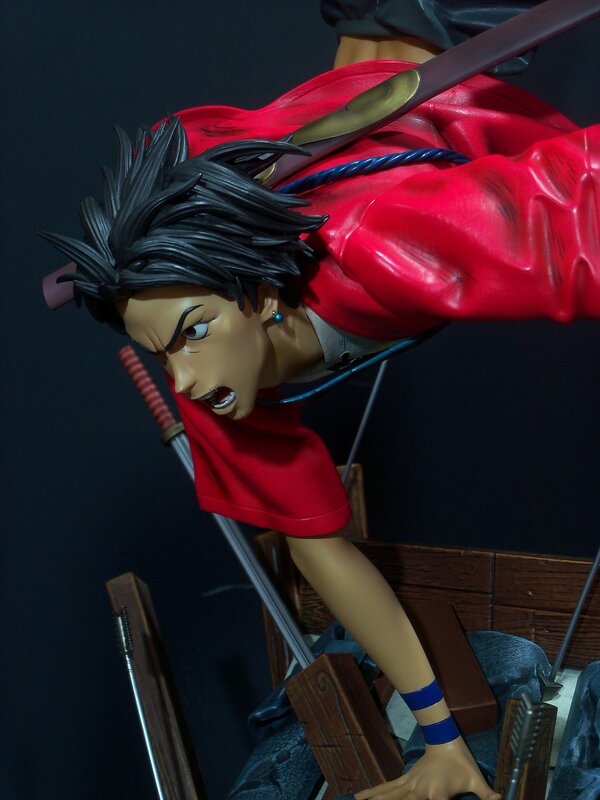 Hey guys here's my Samurai Champloo Mugen Exclusive pics! 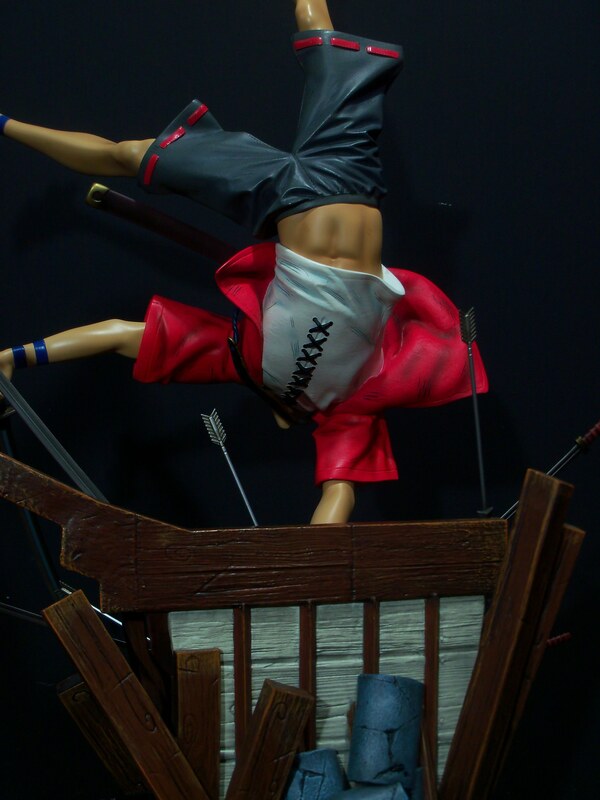 Cons : Arrows and swords tend to fall out of their specific gaps but can be put where ever you like really, needs to be displayed at eye level or above. 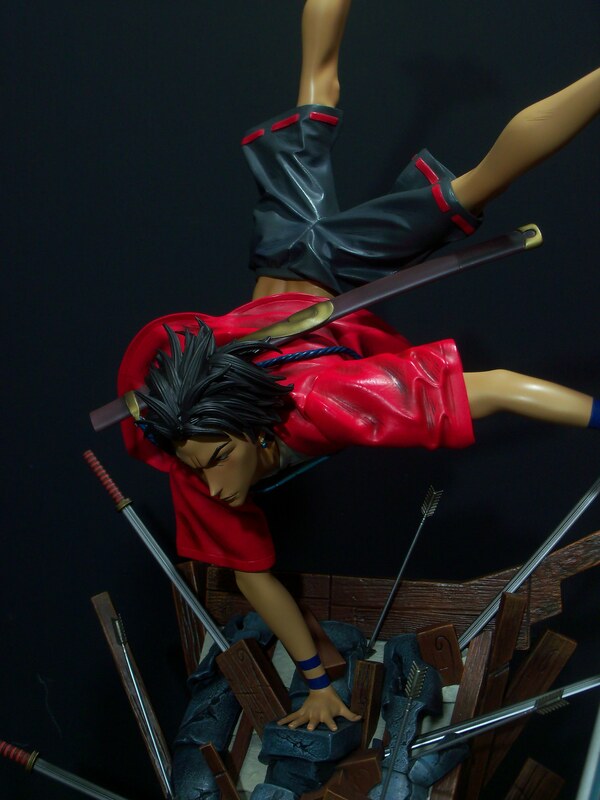 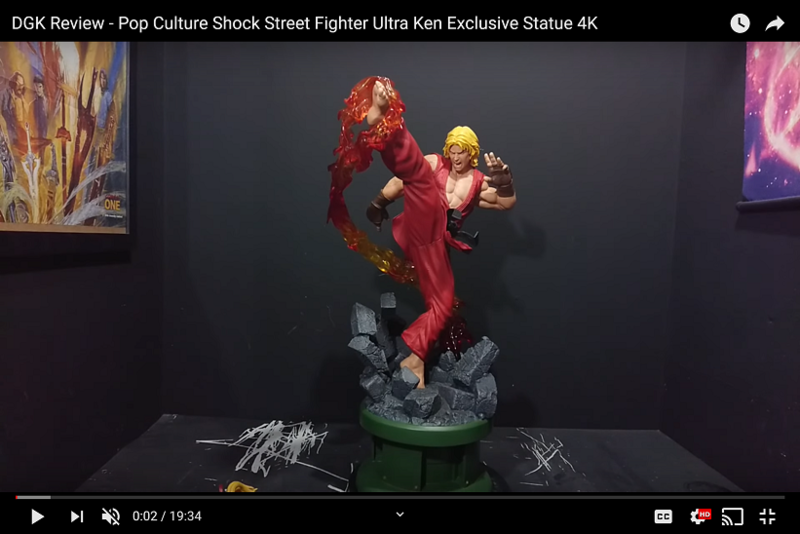 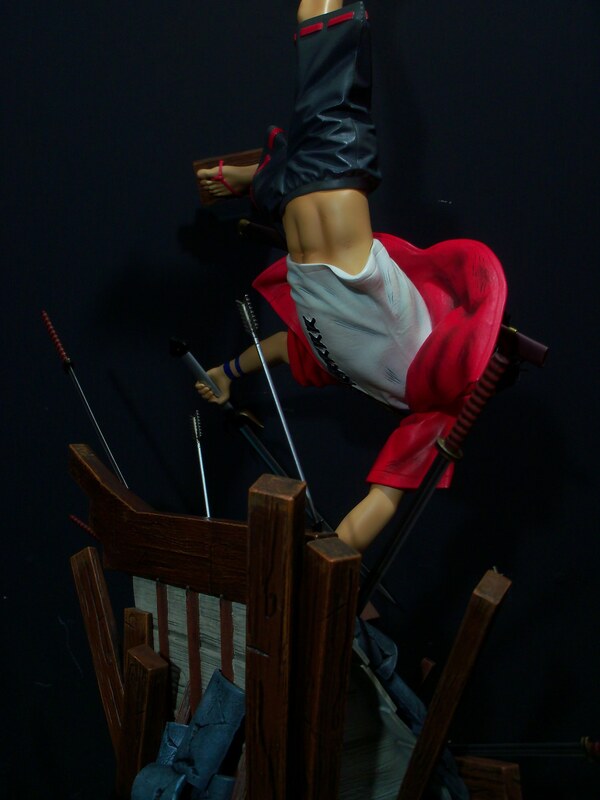 I honestly think this is one of the most well realized and executed Anime statues i've owned....i'd put it up there with Tsumes best like Zoro...which is high praise indeed imo. 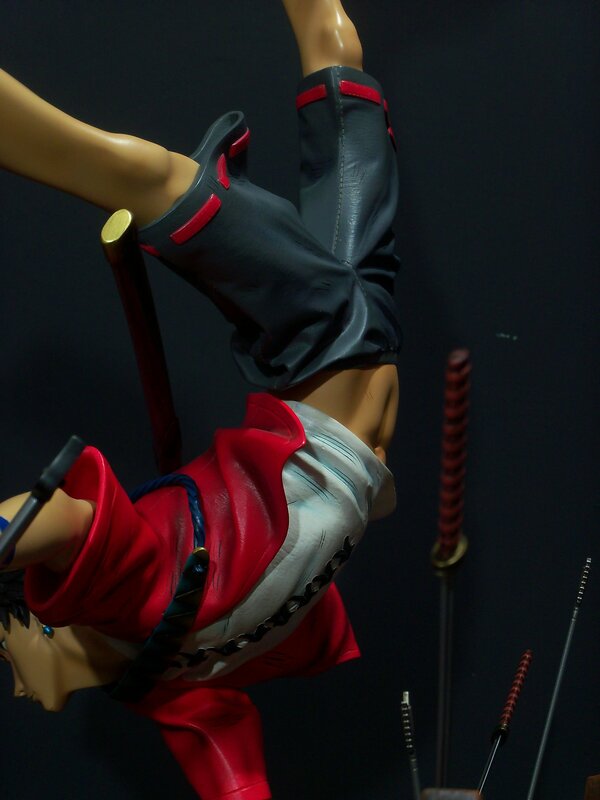 I realllly hope they can give us Jin and Fuu......i really do. 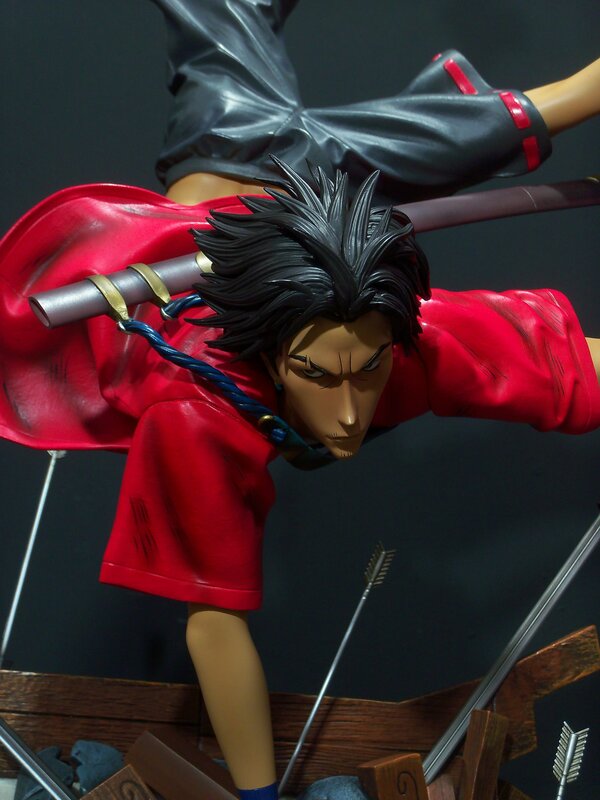 Here's my Mugen review guys! 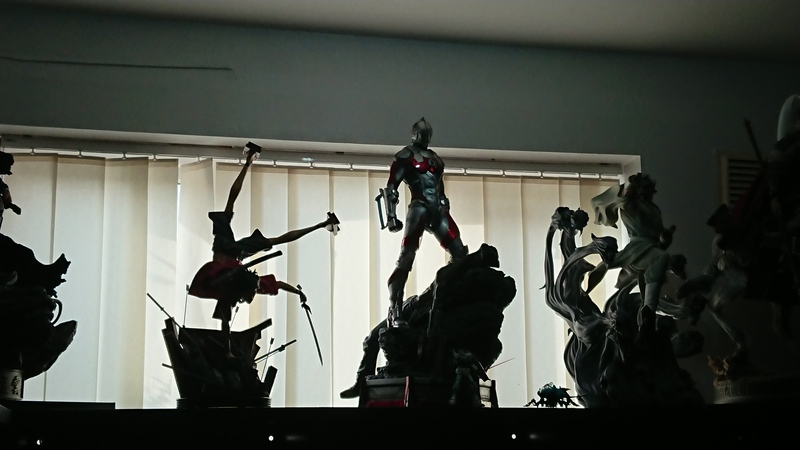 Got mine in today and he is awesome. 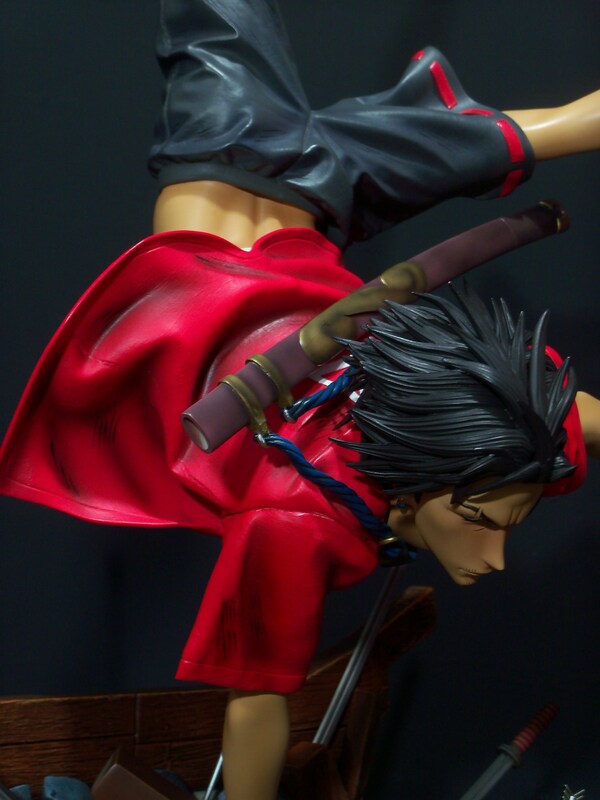 Unfortunately fhe edge of his coat was chipped. 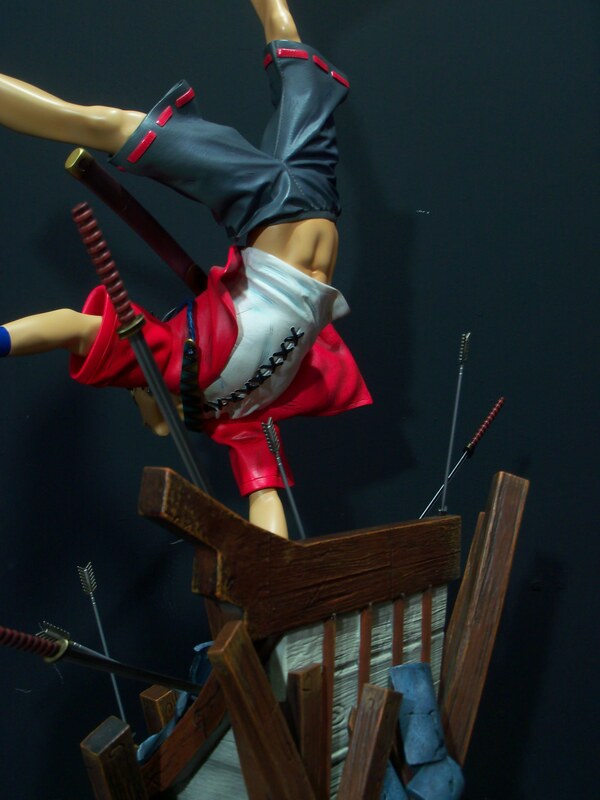 Still Im lovin him.